What I love about Kaua‘i is how abundantly alive and present nature is here. With unlimited ocean horizons, rainbows and glowing green hillsides, Kaua‘i has a way of waking your senses to the intensity of being completely alive and free, joyful. Uncaged and unlimited in many places, Kaua‘i’s exuberant, lush foliage reminds us that much of our own natural vitality also awaits to be explored. Our strength and power slumbers, untouched by everyday life, waiting for us to awaken and make use of it. Kaua‘i invites us through the fragrances of leaf and flowering plants, gentle laua’e fern or sweet tuberose and gardenia, through the light dancing on hillsides, dragging cloud shadows that invite us on excursions into the mountains, meadows and Waimea Canyon, or the trails of the Na Pali valleys and cliffs. Waves crash into the beaches, lap against the rocks or the sides of kayaks. Who can resist the refreshing, clear waters? In movement and in action, we are helping to maintain and restore our bodies. The flow of blood through our muscles helps them grow and cleanses them. Movement lubricates our joints, stretches soft tissues, increases flexibility and makes our bones stronger. It wakes us up. Our senses are the keys to our wellness. Movement gives us our sense of who — and where — we are. The feelings we have are the results of the kinds of activities we choose. A sluggish, sedentary body just isn’t comfortable, so we numb ourselves to our own sensitivity. We lose awareness of our posture, our breathing, our feelings. We develop an unnatural lack of feeling energetic and aware, which makes it hard to change our habits. We weren’t born with the desire to be overweight, out of shape and feeling a little grouchy about it. We learn by habitual ways and patterns, tiny habits repeated over and over again. But if we learned one thing, we can learn another. Babies learn to trust their bodies by playing, moving and experimenting with new movements. 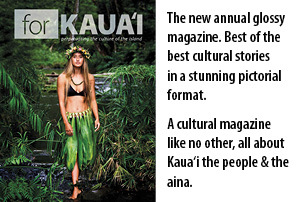 We too can learn to try new things, especially with the many invitations that Kaua‘i offers. Try something different, whether it is the zip lines, standup paddling, hiking, snorkeling or visiting our many wonderful gardens and beaches. If you don’t like how you feel, change it! Get moving! Even the shortest walk gets your heart pumping, and flushes your brain with self-healing hormones that will make you feel better. Take some deep breaths and feel how your ribs expand to bring more life into you, refreshing your brain and releasing tension. The simple movements of breathing raise your shoulders and massage your neck and heart. Focus on how many sounds you can hear during breathing: your own pulse, inner movements, outer sounds, birds and breezes. Notice your attention sharpening your own mental function. When we are fully present to how we feel, we see our emotions arising and passing, changing like the clouds running before the sun. After deep breathing or exercise, we feel calmer and more peaceful. It steadies our heartbeat and relaxes our blood pressure. Feel your shoulder blades pressing in behind your heart, offering you support and relaxing your shoulders. Look for activities where you can gradually increase your time and effort without injury. Respect and honor the one precious body you have today. It has managed, despite everything, to bring you here. You are a success by virtue of being alive. Congratulations on being one of 10 billion humans who have ever lived on this planet! 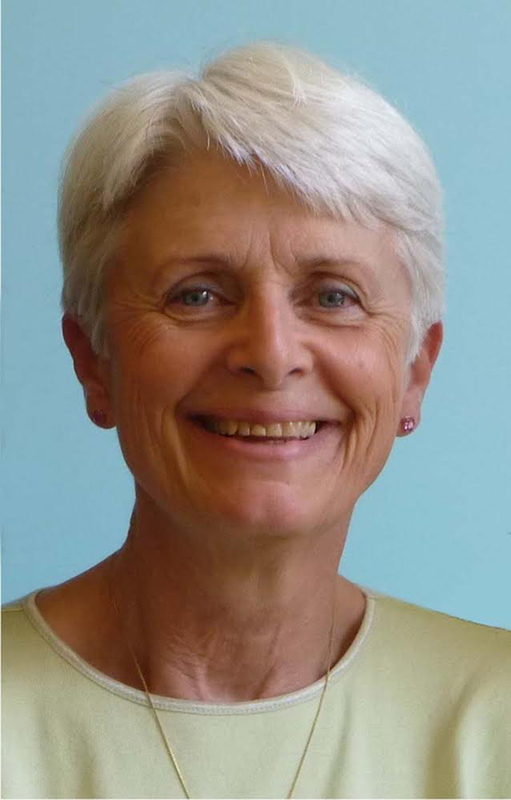 Virginia Beck, NP, Certified Trager Practitioner®, does private Wellness Consulting and Trager ® practice at the YWCA Women’s Center in Lihu‘ She is part of the Women’s Health Team at West Kaua‘i Clinics, and can be reached at 635-5618.